Jack Wighton. Raiders chairman Allan Hawke has fired back at the NRL and labelled the penalty “excessive”. Photo: Supplied. 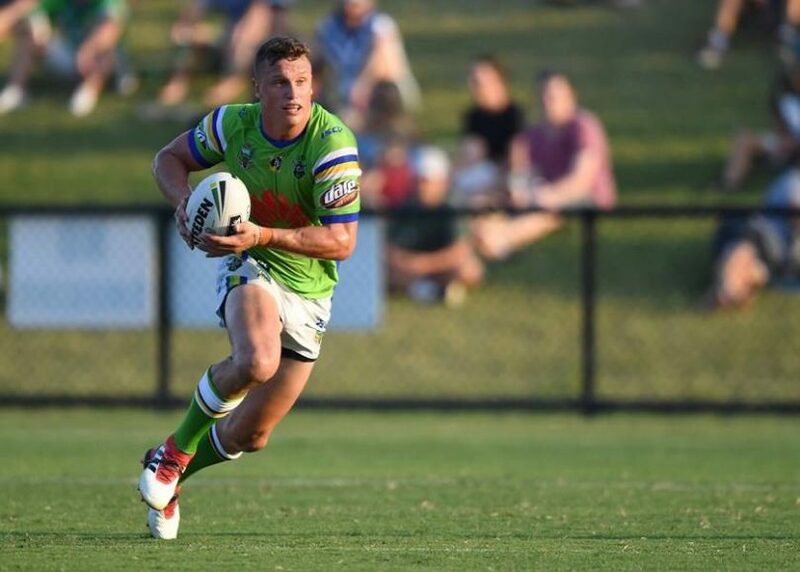 The Canberra Raiders has slammed the NRL for coming “over the top” and banning fullback Jack Wighton for 10 games and fining the fullback $30,000 for his birthday celebration antics that left him convicted of serious assault charges. Under the NRL suspension, Wighton will miss the remainder of the season unless the Raiders make the finals. The Raiders handed out a six-week suspension and no fine. Raiders chairman Allan Hawke said the ruling “set an extraordinary precedent for other clubs”. “We’re disappointed to learn the NRL does not agree with this punishment and feel they have to come over the top and add a further four weeks and a monetary fine to the penalty,” Dr Hawke said. The club believes the penalty is “excessive”, as Wighton is still has to be sentenced by the ACT Magistrates and Galambany Courts. The NRL decided on a stronger sanction after NRL chief Todd Greenberg said the Raiders’ proposed punishment did not fit the crime. Wighton has not played for the Raiders in their past two matches against the Broncos and Bulldogs after being stood down by the club after he pleaded guilty to five counts of assault and one of public urination. He will return to the ACT Magistrates Court for sentencing on 14 November. Dr Hawke said the club stood firmly by its decision and the punishment handed to the 25-year-old. “We are perplexed as to why the NRL felt the need to impose further punishment before this process was concluded and it sets an extraordinary precedent to the way matters are handled by clubs in the future,” he said. The NRL has given the Raiders and Jack Wighton five days to respond to the decision.